Some of the worshipers managed to take the policeman outside the church. He was handed over to the other police officers responsible for securing the church then he was accompanied by a number of police commanders. According to police officers, he was suspended from the work and subjected to investigation. That afternoon, the mobs cut off electricity from the church to shut down the webcam, but the church operated it by a generator. It was the fourth time that hardliners in the village gathered to protest against churches. On July 6, 7 and 13, they protested against a new church, which had applied to authorities to get a license, but was closed down by security forces. In recent weeks, Muslim hardliners in Sultan Basha village were harassing the Copts verbally, uprooting their field crops and damaging their irrigation pumps and intimidating them over the opening of the church. In Luxor governorate, about 435 miles south of Cairo, Muslim mobs demonstrated against a church in al-Zeneeqa village in Esna, as far back as 2003. During the morning Mass on Aug. 22, when Copts were celebrating the feast of the Assumption of the Blessed Virgin Mary, a mob shouted that they don’t want a church in their village. 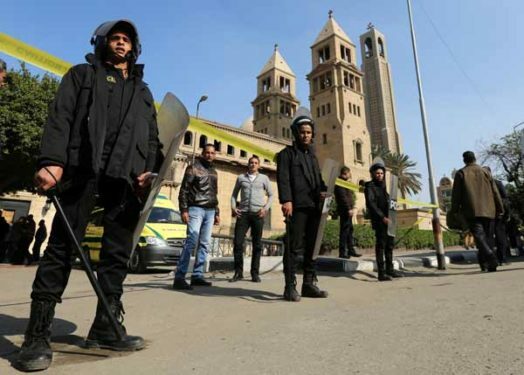 Police closed the church down and arrested 20 people – five of whom were Copts, even though no Copts stood up to the demonstrators. Police first arrested five Muslims and five Copts, and then on Friday, arrested 10 more Muslims as Muslim mobs gathered again for another demonstration against the church. Esna prosecutors have charged the Copts and Muslims with illegal gathering, disrupting public peace and stirring sectarian strife. Moreover, it charged Copts with praying in an unlicensed place, lawyers said to local media. This is the third church to be closed down in Luxor for the same reason since last May, when hardliners in the villages of Kumeer and Huleila prevented Copts from praying in two churches for not getting license. Churches in Egypt face a dilemma over licensing, despite the passage of a law on Sept. 28, 2016 to regulate the construction of churches. But Muslim hardliners continue to assault churches on the grounds that there are no licenses yet. The two churches in Luxor and Minya are among hundreds of churches that have submitted documentation for legalization to the Egyptian government in accordance with the new law. Copt activists and politicians see the law as discriminatory, and many legislators, Muslim and Christian, have expressed their dismay with the law. The new law empowers provincial governors to approve church building and renovation permits, previously the domain of security services. However, it grants a governor the right to deny a building or renovation permit on security and public safety grounds, which allows mob violence to dictate the matter. Usually, such mob attacks serve as a pretext for closing the church, especially in upper Egypt where perpetrators act with impunity.